Images of Resilience Storytellers: Eric Hipple, Kathy Crane, and Matt Lockwood take the stage on 5/24! 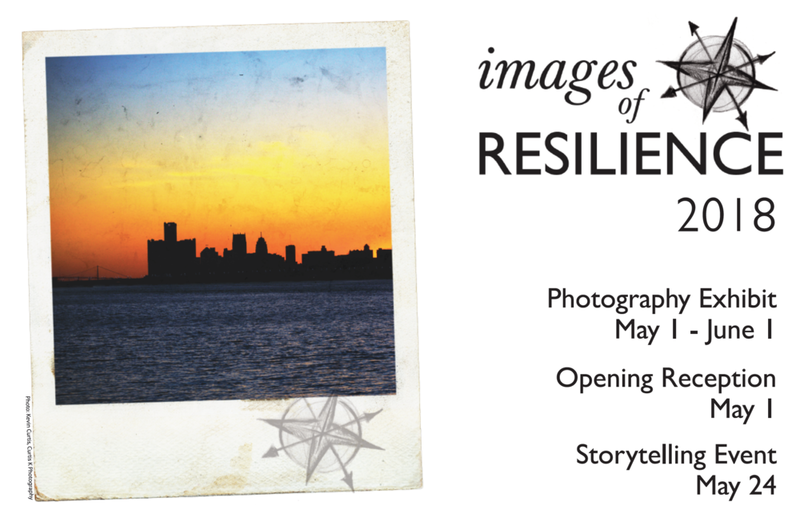 The THIRD Annual Images of Resilience Photography Exhibit and Storytelling Event kicks off on 5/1! Please join my Co-Chair Joe Gruber and me along with our featured photographer Kevin Curtis. Special thanks to The Guidance Center and our sponsors for making this possible. 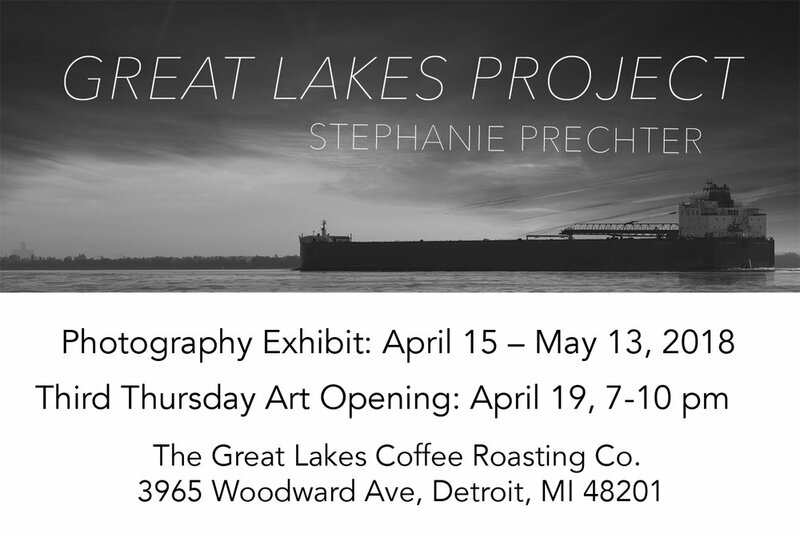 Great Lakes Project @ Great lakes Coffee! Please click on the following links to learn more about Life Images and this upcoming exhibit! It will be featured in the Voices Gallery through July 2017. 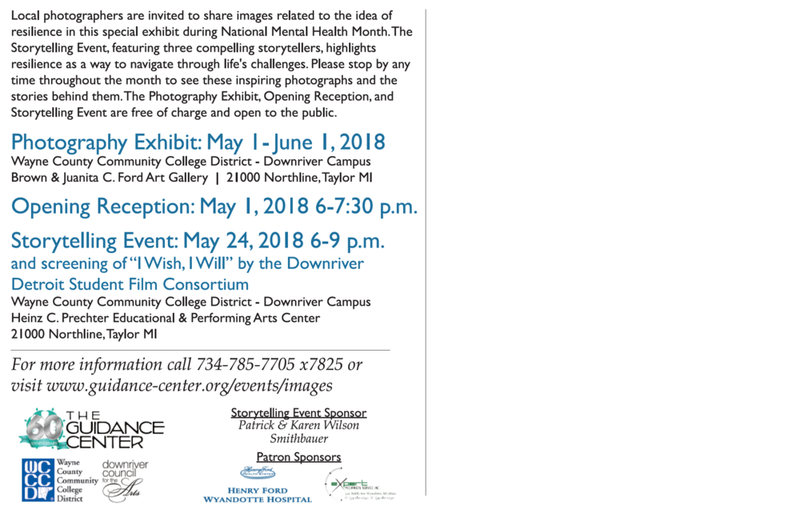 This photography exhibit, hosted by The Guidance Center, features images related to the idea of resilience. This exhibit focuses on the importance of resilience as a way to navigate through life’s challenges. Our aim is to engage the community around this topic and encourage self awareness through creative expression. This event features a number of students in the Digital Media Arts programs (photography /graphic design /video and animation) and is free and open to the public. My portfolio and booth will be on display 5-7pm.